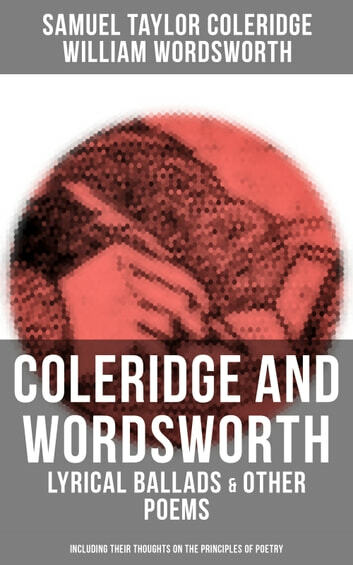 Lyrical Ballads, two collections of poems by William Wordsworth and Samuel Taylor Coleridge are generally considered to have marked the beginning of the English Romantic movement in literature. The immediate effect on critics was modest, but they became and remain a landmark, changing the course of English literature and poetry. Most of the poems in the 1798 edition were written by Wordsworth, with Coleridge contributing only five poems to the collection, including one of his most famous works, "The Rime of the Ancient Mariner". A second edition was published in 1800, in which Wordsworth included additional poems and a preface detailing the pair's avowed poetical principles. Contents: Anima Poetae (By Samuel Taylor Coleridge) Essays, Letters, and Notes about the Principles of Poetry (By William Wordsworth) LYRICAL BALLADS, WITH A FEW OTHER POEMS (1798) LYRICAL BALLADS, WITH OTHER POEMS (1800) Samuel Taylor Coleridge (1772 – 1834) was an English poet, literary critic and philosopher who, with his friend William Wordsworth, was a founder of the Romantic Movement in England and a member of the Lake Poets. He wrote the poems The Rime of the Ancient Mariner and Kubla Khan, as well as the major prose work Biographia Literaria. William Wordsworth (1770 –1850) was a major English Romantic poet who, with Samuel Taylor Coleridge, helped to launch the Romantic Age in English literature with their joint publication Lyrical Ballads (1798).